TomTom is a manufacturer of sat navs. The electronic navigation systems help you get from A - B without the hassle of paper maps. While they've declined in popularity since Google Maps and other smartphone map apps, some people still prefer having a standalone device dedicated to where to go. Here you'll find the best discounts shared by our community of bargain hunters. From Maplins, Jessops, Curry's and Amazon - we look for top price drops and then share them here to help you save money. When you’re about to go on long road trip to unfamiliar place, or if you’re rushing through traffic to reach a very important meeting, a good sat nav is necessary. There are plenty of GPS navigation system brands out there, but the most popular ones are Garmin and TomTom. TomTom is a Dutch company providing traffic, mapping and navigation devices. They also have GPS sport watches, action cameras and location-based offerings. TomTom offers a wide range of products developed to meet the consumer’s particular needs. In order to find the right TomTom device that would be more beneficial for you, it is important to learn about the GPS basics as well as some ways on how information is communicated to the GPS devices. And then, you should do a thorough assessment of how you will use the TomTom product and your budget in order to narrow down your choices. With the growth of personal apps for GPS, consumers have definitely benefitted from it. The GPS was originally developed for military use in the US Department of Defense. It is a network of satellites that constantly observing the Earth. These satellites make use of triangulation in order to pinpoint the exact position where a GPS device is located upon receiving a signal from its receiver. What’s the difference between a GPS device and a GPS-enabled device? All TomTom satnavs and products are directly link to the GPS network. This provides users with a constant stream of information, even when their devices are moving. On the other hand, a GPS-enabled device such as your smartphone can’t directly send and receive information to the GPS network. Thus, these devices depend on stationary cell towers to estimate their location. If you’re looking for a device to provide you with precise information and is always updated with important travel details, it is recommended to opt for a GPS device like those offered by TomTom. This is one of the best TomTom Sat Nav / GPS guidance systems I have ever used. It's fast, easy to use, large enough to see easily but small enough to stow away after use. Portable car navigation: You can temporarily mount these devices on your vehicle’s dashboard. Built-in car navigation: These devices can be installed permanently on your vehicle’s dashboard. GPS sports watches: These watches are integrated with GPS capabilities wherein athletes can track their distance and performance. When shopping for a GPS, it is essential to consider not just your budget but the type of device that’s most appropriate to your personal needs as the company’s products varies. Selecting one should be relatively straightforward. Screen size. This is an important factor to consider. A 4.3in screen size may not work for individuals with poor eyesight while people with large hands may find small screen difficult to navigate so a 6in screen size may make viewing routes and accessing menus easier. Maps. Consider where you’ll be traveling domestic only or across Europe. There are more costly models that offers maps of Europe, US, Canada and Mexico as well as lifetime updates of maps. Voice activation. If you find it hard to use touchscreen, a model with voice activation controls is something to consider. TomTom Go has this this convenient feature. Mounts. It is also important to consider how a satnav will fit your vehicle. A lot of TomTom devices comes with a dual mount such as the Via 1605TM which you can affix to your vehicle’s dash or windshield. 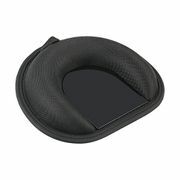 This ensures a perfect view as well as quick and convenient way of locating your satnav. Where can I get cheap TomTom sat nav deals? TomTom sat nav Argos deals include clearance sale on some models where you can get 10% off as well as discounts ranging from £5 to £40. They also offer their lowest price on selected TomTom sat nav models. 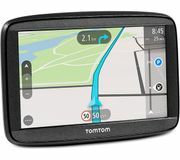 TomTom sat nav Amazon offers includes a wide selection of TomTom deals on a variety of best TomTom sat nav devices. You can get fantastic discounts especially if you’re an Amazon Prime member where you can save as much as £100 with free delivery. TomTom sat nav eBay includes deals on a variety of accessories as well. You can also find pre-owned or used cheap TomTom sat nav here if you want to further your savings. But make sure to double check everything before making any purchase from third party re-sellers. It is recommended to ask for real-time photos of the products they are selling and to also check out reviews and customer feebacks. You can find a great selection of TomTom sat nav at Halfords. You can shop by category and they also offer price match on most items. Make sure to lookout for their Top Rated mark, this means that you can get a good discount on the item. For example, TomTom car sat navs with Top Rated marks can provide you with as much as £42 savings.